Hey Fellow Cascade 220 60 Quick Knit Followers! It has been extremely nuts in my life recently! I have had ZERO time to knit anything! 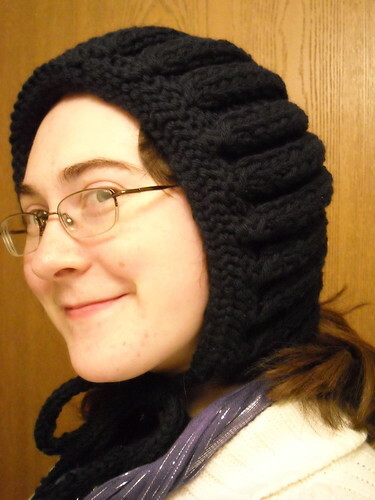 Since it is Easter Season, I do not knit as much. This is to help preserve my wrists as I need them to play the Piano and Organ during Holy Week. However, Sunday is my birthday and I treated myself to $70.00 worth of Cascade 220 yarn, so stay tuned...because I will be knitting with my new treats soon! As for now, I wanted to write about the infamous Waffle Mittens. Why do I call them the infamous Waffle Mittens? ...WELL...it is because I have made 5 different Waffle Mittens over the course of last year! This is a good pattern, but I am sick of making Waffle Mittens. 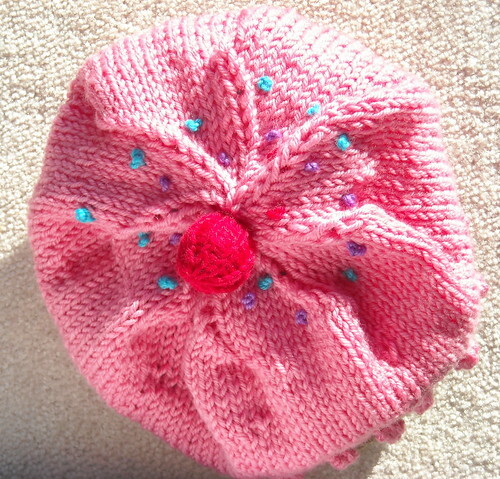 So many of my knitting friends tease me because I have made so many of them! I made Waffle Mittens for my entire Facilities Crew last year. I also made some for a friend for her birthday, and of coarse, a pair for myself. I have made this pattern so much that I have finally memorized it. People love this pattern, I can't explain it, but people cling to this pattern. I really liked knitting this pattern, because it was simple enough to work on with distractions; yet, difficult enough that it looked awesome to my expert knitting friends. I do not have any issues with this pattern at all, probably because I have made it so many times. The key lies in following the chart. At first, this was difficult for me because I am not used to following charts. 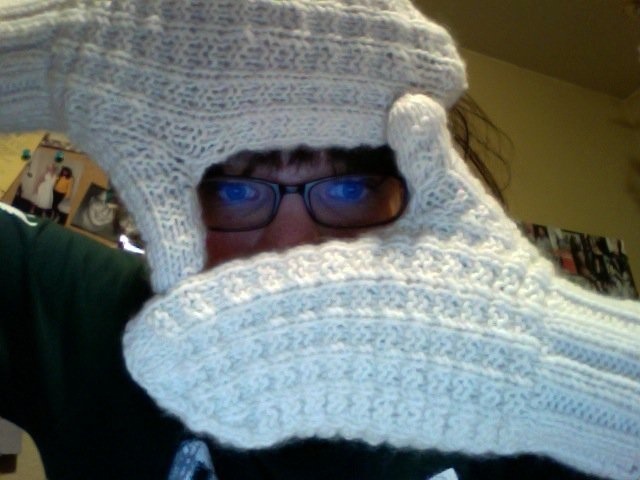 However, it got easier the more often I worked on the mittens. 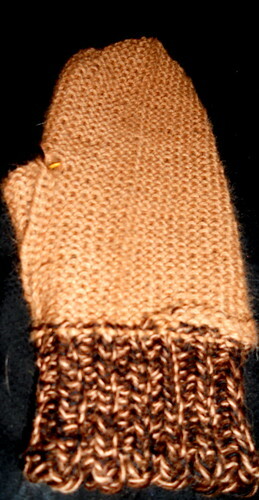 I used a few different yarns for the Waffle Mittens. My first pair was ECO Cascade Chunky in Creame. I used Cascade 220 Purple for another pair, and Frog Tree for another pair. 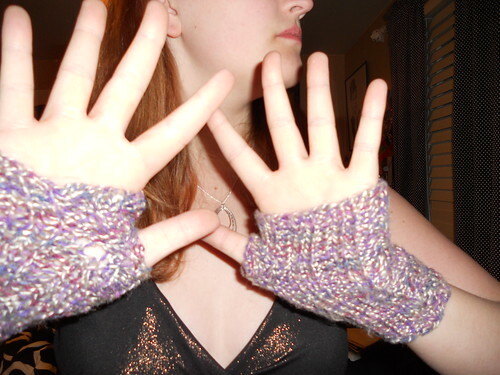 I also used Nashua Hand Knits for another pair. Here are the Waffle Mittens I've made so far! This one is an in progress for a Co-Worker Jenna. The color looks deceiving, but it is a deep purple. The yarn is Cascade 220! 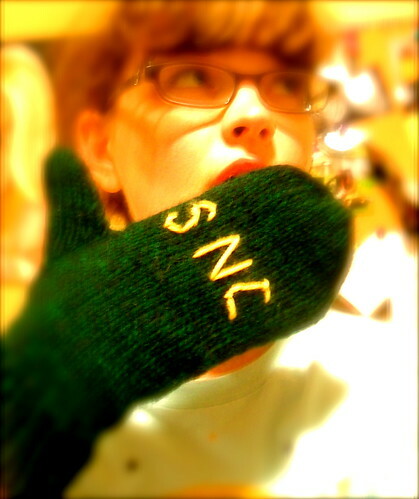 This mitten was made for my good friend Lauren. She wanted a nice durable mitten but something softer than Cascade 220. 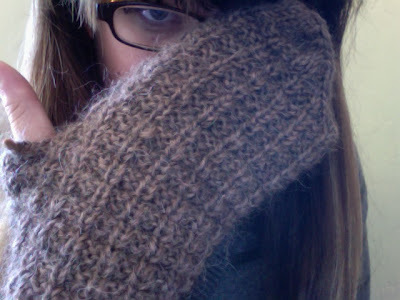 I selected a Nashua Handknits Brown. I saw her wear her mittens every single day of the winter season...biggest smile on my face came from her this year!!!! 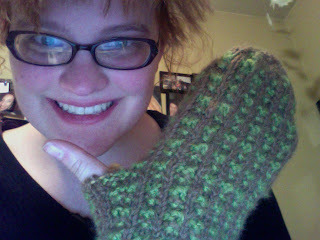 This was my first pair of Waffle Mittens...I made them for myself! 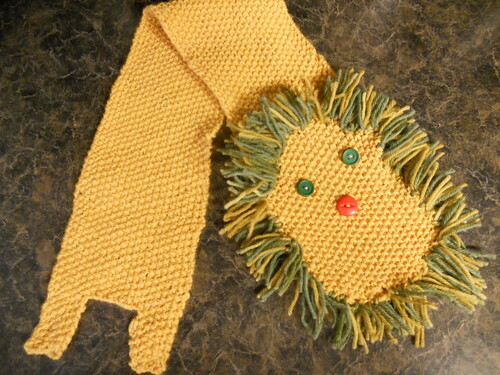 I used Sirdar ECO Cream Yarn for them. I loved the pattern I made them in a single day! 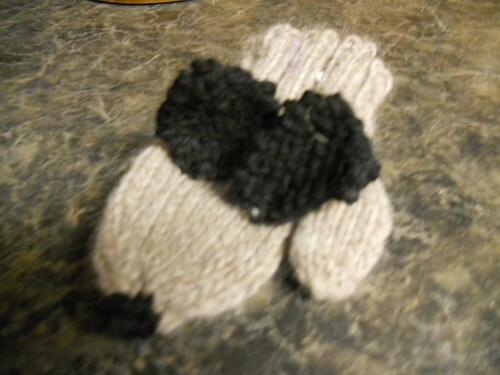 This pair I made for my Co-Worker Alyssa...I used Sirdar ECO Tweeted Yarn. 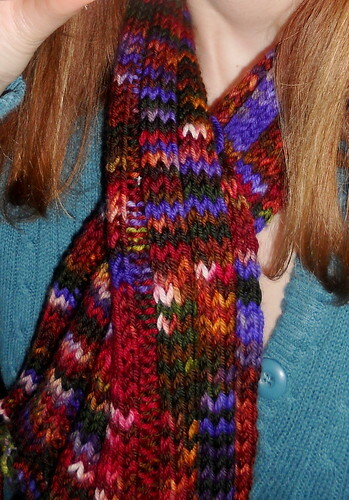 I really liked making them out of this yarn because they were very colorful. I hope she liked them! These are still being made. (They are a Belated Birthday Gift for my friend Zoe--Don't worry she knows about them!!!!) I decided to try color changes for these mittens. I figured Zoe would be highly impressed with the color changing mittens. It is very easy to color change the mittens. 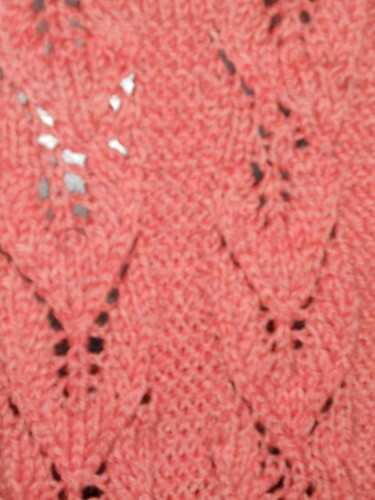 All your knits are one color and all your purls are another color. 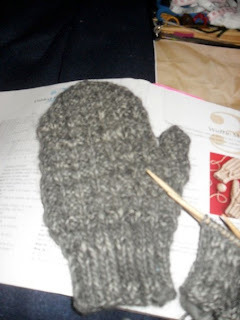 If you are looking for an easy mitten project, I would suggest giving the famous Waffle Mittens a try. Please post your Waffle Mittens... I would love to see what you did with this simple, yet exciting pattern!!! Thank you for your comment. 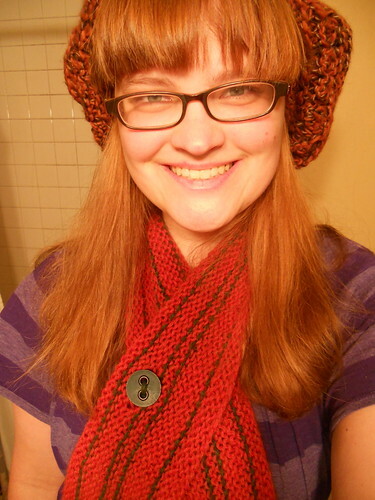 All the patterns we use on this blog are from the book 60 Quick Knits: 20 Hats, 20 Scarves, 20 Mittens in Cascade 220. You can buy a copy of it at your Local Yarn Shop, many book stores, or Amazon.com. Don't worry about buying the book just for this one pattern. I can guarantee you will find MANY other projects in the book you will also want to make later. Cascade just recently released a second book of the series called 60 Quick Baby Knits in Cascade Superwash. Also, feel free to take a look at the other projects we have made by searching the blog. All the projects are patterns from the book so you can get an idea of other possibilities from buying the book. I own the book but live in a rural area with no knitters or yarn shop and I'm having trouble understanding the pattern, specifically the first round of the thumb. Is there a mistake in the pattern? Is the p1 suposed to be an increase? Ahh! What is happening in the first round is you are increasing two stitches to make the thum. 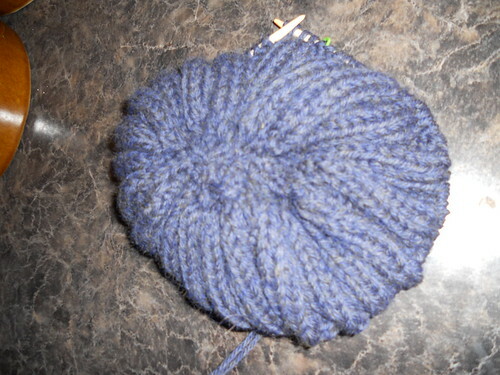 You knit and purl into the same stitch to make one increase. The pattern is extremely misleading. 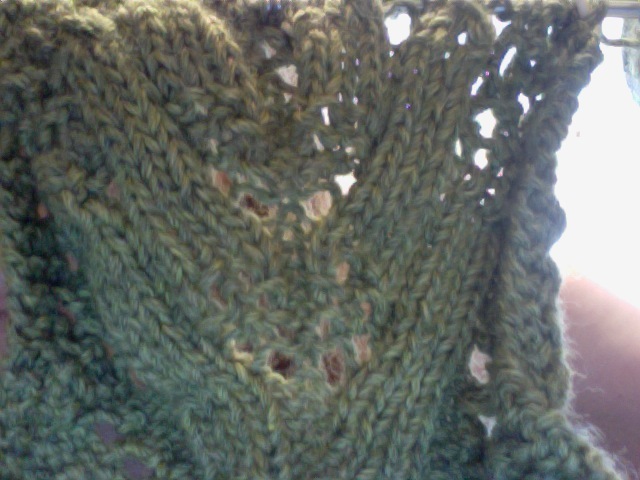 I have knitted this pattern 8 times and never figured it out until the 8th time. What happens is You'll k19 then in stitch 20 you will k1 then p1 into the same stitch. That is your increase. Then you p1 k1 in stitch 21. 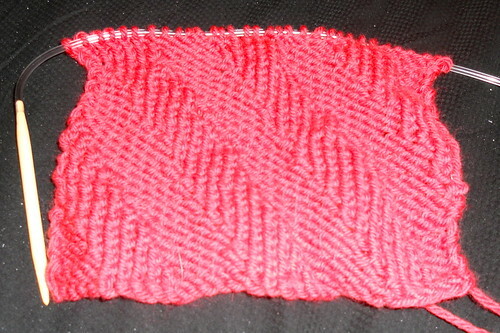 This way you will have two purl stitches side by side. Place markers around those two stitches. They are the first thumb stitches. Continue to follow the chart. If that doesn't make sense, you could also do M1 M1. I've done it that way and the increases do not show up at all! Please let us know if you need anymore help...I would be more than happy to do whatever I can so you can have a great yarn project! THANK YOU! That makes so much sense! I'll let you ladies know how I do!